The Rhodes bar stool is a beautiful addition to kitchens and breakfast bars alike. 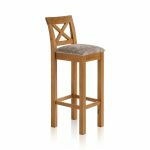 It's made from durable solid oak in our popular rustic finish, which adds warm, honeyed tones to the piece. 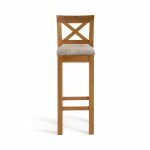 The back has a delicate crossed motif, adding a touch of modern farmhouse flair, and the cosy seat is upholstered in Plain Truffle fabric upholstery. The entire bar stool is made using only 100% solid oak, for fantastic durability, and the sturdy cross brace serves both as a footrest and a stabiliser, so you know this bar stool will stand up to family breakfasts and cocktail parties, year after year! 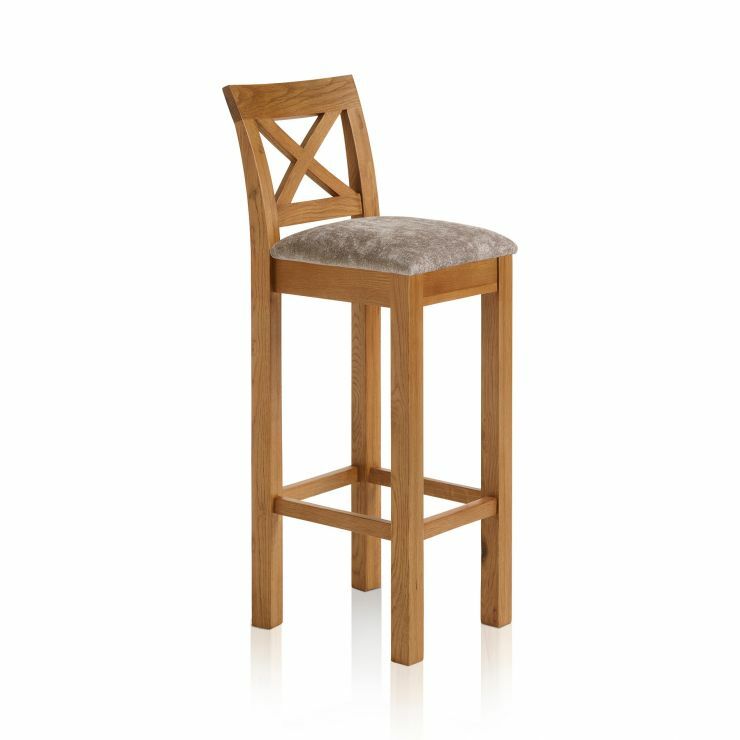 Why not complement your new bar stool with a coordinating backless stool, too. Shop the full Rhodes range.